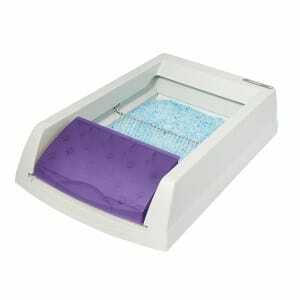 If you would like to get the best self-cleaning litter box but simply have neither the time nor the knowledge to look for one, then you’ve landed in the right spot. We’ve looked at some of the most popular automatic litter boxes on the market so you don’t have to. After comparing dozens of models, Dr. Fox recommends that you get the Litter-Robot III Open-Air. This model is fully automatic, has a delay cycle before it starts filtering, and it comes with several programmable functions that make it versatile. 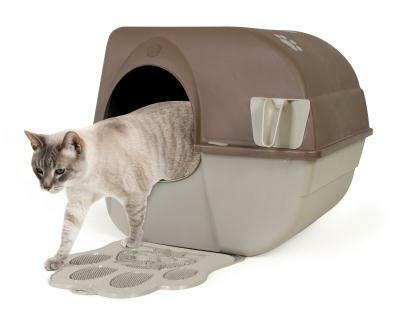 If this unit is sold out, you might want to try the Omega Paw Self-Cleaning Litter Box. This unit’s greatest advantage is its big size, making it suitable for large cats or houses with multiple pets. The product comes with a timer function and an adjustable delay that waits until your cat is out of the unit before cleaning the litter. It uses up to 50% less litter than other products, helping you save money in the long term. Your cat may take some time before getting used to the futuristic shape of this product. We suggest allowing up to a couple of weeks for your pet to fully accommodate. 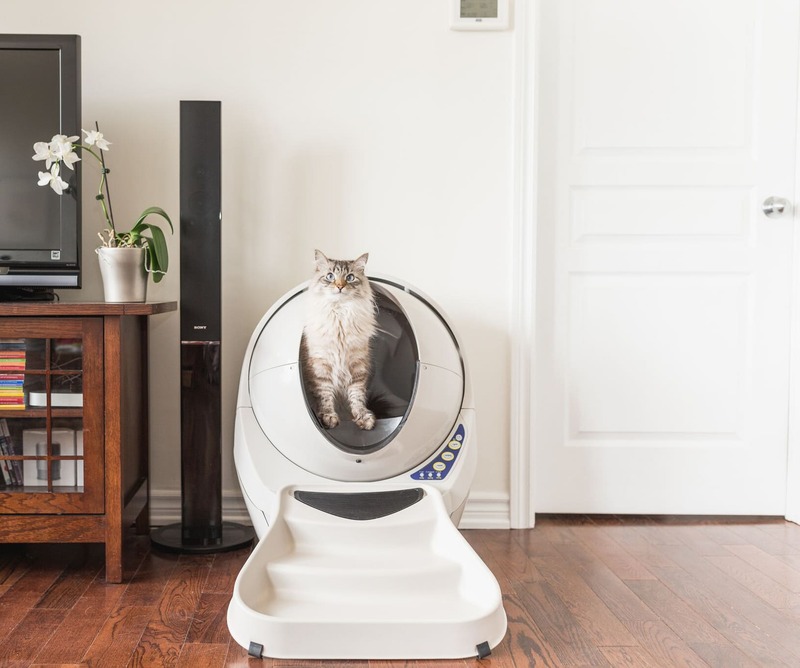 Unlike other similar items, the new Litter-Robot III is big enough for all cat breeds, meaning your pet won’t have to lose weight or squeeze in everytime it goes to the bathroom. This self-cleaning product is easy and convenient to use. It doesn’t require any electricity, filters or liners. Thanks to the patented grill, it will easily separate the waste from clean litter. The item is large enough to accommodate all cat breeds. All waste is collected in a pullout tray that is easy to dispose of and will eliminate odors. The item is made of plastic and some customers consider the overall construction being flimsy, so it may not survive the constant hustle of your household cats. 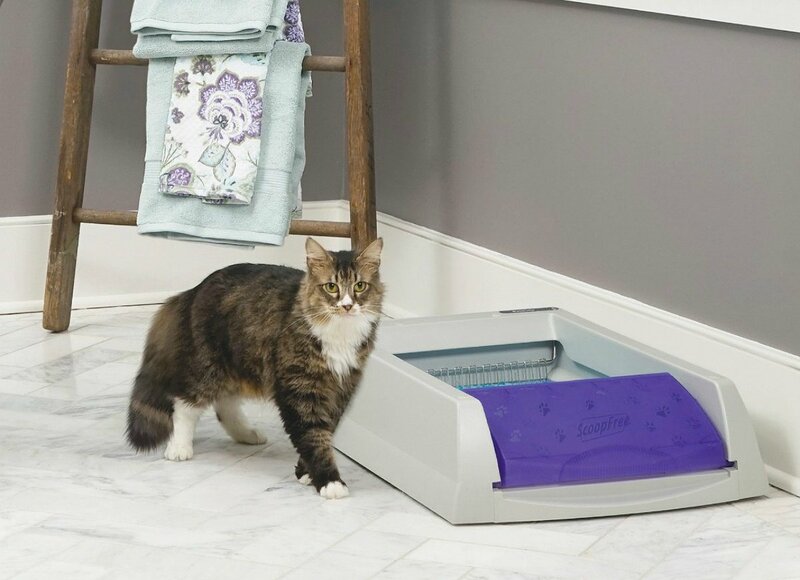 Affordable and convenient to use, this self-cleaning litter box is easy to assemble and comes in a frustration-free package, meaning you’ll get it ready to work in no time. This product will help you forget about cleaning your pet’s litter box for weeks. It comes with a unique odor control technology that traps away solid waste and smells so you can enjoy fresh air. The plastic tray lining protects against unwanted leaks and spills, keeping your house and your cat clean. It doesn’t require scooping. According to some who purchased the product, it wastes a lot of litter, which means you’ll have to buy more every week. It cannot be used by more than one cat at a time. If you don’t mind spending a small fortune just to avoid scooping your cat’s litter every other day, the PetSafe PAL00-14242 represents a great solution. If you want to get an automatic litter for your cat but don’t have time to sift through dozens of self-cleaning litter box reviews, then we’ve selected some of the most popular choices among consumers that offer the most features for the price so you can choose the right one for your needs. If scooping the litter isn’t exactly one of your favorite activities, then you will certainly enjoy the Litter-Robot III. This unit is spacious enough for even large cats and can work well even with multiple cats in the home. This model has a timer function with an adjustable delay that waits for the cat to exit the unit and the litter to clump together after which it starts a cleaning cycle. 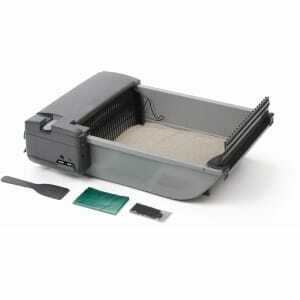 The innovative sifting system filters the litter while dropping the residue in a carbon filter drawer. A blue light indicator lets you know when you need to remove the disposable waste bag. The Open Air can use 50 percent less litter than conventional litter boxes, saving you money as well as precious time. With the control panel lock-out, you can ensure that your pets or kids don’t mess with the settings, while the automatic night light keeps things visible for elder cats. This model also features a night mode for some quiet sleep. The Omega Paw is an ideal choice if you want to get rid of scooping the litter yet don’t want to spend a fortune on a fully automatic model. This litter box features a cleaning mechanism that requires no electricity to work. All you need to do is roll the unit unto its top, and the waste will be separated from the litter and deposited in a special tray that is easy to remove. This model is large enough to accommodate multiple-cat households. You get an inexpensive device that is simple to use while benefiting from odor control. The enclosed box will provide your cats with privacy while also keeping dust from spreading throughout the house. Because of its simple design, this device doesn’t require you to buy filters or liners. With its efficient cleaning system, you also get to save on litter as well as energy bills. This roll-and-clean litter box is also easy to assemble. 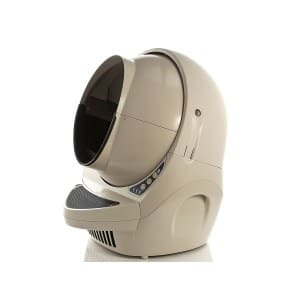 The PetSafe ScoopFree is an automatic litter box that comes with all the features you can expect from such a device, as well as an affordable price. This unit is simple to use, just place the disposable tray with crystal litter inside the box, plug it in, and watch as it cleans your cat’s waste for up to several weeks without your help. This device will detect when your cat has used the litter thanks to its sensors, wait for 20 minutes for the litter to clump and the solid waste to dehydrate, and then the rake system will push all the waste into the waste trap. That way you get a scoop-free box that controls odors and ensures that your cat has a clean litter every time. According to our PetSafe self-cleaning litter box review, this is a low-maintenance model that only requires you to replace the disposable tray every few weeks if you have just one cat. The Smart Scoop Automatic is a self-cleaning litter box that offers smooth and quiet cleaning so you don’t have to get your hands dirty. 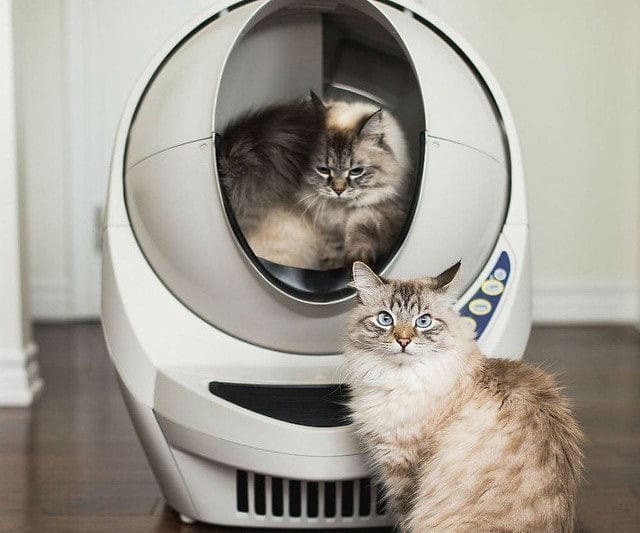 Equipped with a sensor, this machine can detect when your cat has used the litter and will start a cleaning cycle after 15 minutes, to ensure that the litter has enough time to clump. This unit uses an efficient rake that pushes through the litter, filtering it and depositing the waste into a special waste tray. You won’t need to scoop any litter and will only be required to change the waste bag once a week in case you have just one cat. The automatic device operates quietly so you or your cats won’t be bothered during cleaning cycles. The litter pan is made of durable materials and it should last for a long time, whether you have just one cat or more. The activated carbon filter will eliminate unpleasant odors, and you only need to replace it once per month. While every cat owner is different just as every cat is different, one thing that most have in common is the fact that they definitely don’t enjoy scooping litter. This tedious task of scraping the litter several times per day is something that many feline lovers would wish to get rid of, and fortunately, there are quite a few self-cleaning litter boxes out there for every want and need. You don’t have to buy the most expensive model on the market to enjoy great comfort and avoid having to scoop litter all day. There are quite a few brands that produce durable and reliable litter boxes that have automatic mechanisms which are simple and efficient. These usually have a motor powered by electricity, although some also work with batteries. This motor powers a rack or filter that slowly moves through the litter, collecting clumps and other waste and then dumping it down a chute into a container that then gets sealed. These models can also feature a delay counter which can start the cleaning cycle after 15 minutes to ensure that the litter has plenty of time to clump so that the rake won’t leave behind tiny fragments of waste. If you want something more sophisticated or the best self-cleaning litter box for multiple cats, then higher-end models abound. You can expect to pay several hundred dollars for such a model, but you can rest assured that you won’t need to do anything for weeks on end. Some of these models are fully-self cleaning, with rakes or rotational boxes that efficiently filter waste, leaving behind only clean litter for your cat to enjoy. Many of these also come with activated carbon filters which also keep odors contained. There are also many programmable features, such as adjustable timers which allow you to set a specific delay between the time when the sensor detects your cat inside the litter box and the start of the cleaning cycle. This can come in handy if your cat prefers to stick around the robot for longer and prevents having it scared by the sounds of the cleaning mechanism. If you want to get a good night’s sleep without being woken by the sound of a litter robot filtering waste, then you might also look for models that come with night modes. You can set a specific time interval which usually lasts for about 8 hours to ensure that even if your cat uses the litter during the night, it won’t start the cycle and bother you. You could set the timer so that it cleans the litter right before you get up so you don’t bump into a dirty litter box in the morning. Cats are taught by nature to bury their waste, but in their natural habitat, they usually don’t use the same spot twice. This is why some cats might refuse to use a litter and hold for even an entire day if it has even a faint smell of urine. With an automatic litter box, you can offer your cat a clean and hygienic place where it can quietly go without any problems. If you have multiple cats, you get the added benefit that waste is immediately filtered and dumped into a sealed receptacle or container so that the pets don’t into contact with each other’s waste, reducing contamination and the risk of some transmissible diseases and parasites. When it comes to efficiency, not all litter variants are created equal. Some are better at dehydrating waste and clumping than others. You might want to check several brands and see which litter performs best for long-term cleanliness. You should also bear in mind the fact that some self-cleaning litter box manufacturers also sell disposable trays that are already filled with new crystal litter. Getting these not only ensures compatibility between the mechanism and size of the rake and the litter but also minimizes effort as you’ll only need to replace the tray after one or two weeks. If you want to keep your home perfectly clean, then choosing an enclosed litter robot is your best bet. Not only will such a model prevent dust from floating into other rooms, but litter particles will also stay inside. There are many types of litter robots out there, but you might also want to look at the build quality to get a model that can withstand a lot of use and abuse, especially if you own more cats or larger breeds. You probably wouldn’t like to have to buy a new automatic litter box every year so you should make sure that the model is made of durable materials. By buying a quality self-cleaning box, you will make sure that your cat has a clean place to use for its natural needs. However, while an automated litter will surely save you hours of scooping litter, you shouldn’t think that your cat won’t require the same level of attention. You should remember that cats need to play to exercise muscles and use built-up energy. You should also get some good dental treats for cats to teach them a few tricks, and you could also successfully use these to train your cat to use the new litter robot you’ve just bought. Or you could just use treats to spoil your cat and make it feel good while also promoting healthy teeth. How does an automatic litter box work? 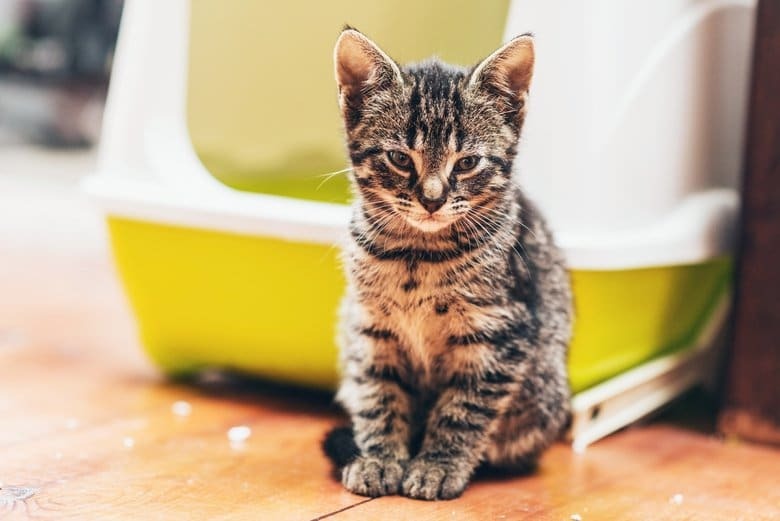 Most automatic litter boxes have a battery or electricity-powered mechanism which features a rake that slowly moves through the litter, collecting waste and depositing it into a container which is then sealed to prevent odors from spreading. The container can be a plastic bag in a tray, or the tray itself can be disposable, requiring replacing every week or so. The best automatic cat litter box variant can also have sensors that are triggered after the cat uses the litter and leaves the tray. These models usually have a delay feature to ensure that the cat is gone when the cleaning cycle is triggered. How can you clean an automatic litter box? 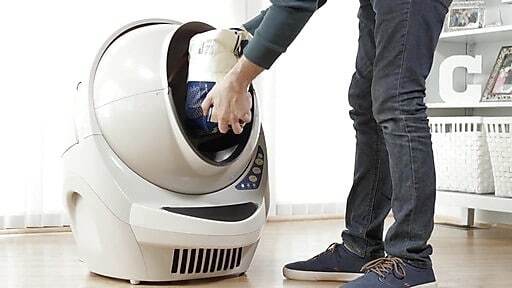 The good part is that you don’t need to do any cleaning with a self cleaning litter box robot. These devices perform all the scooping so you don’t have to get your hands dirty or bear all the unpleasant odors. The only cleaning you are supposed to do is to remove the plastic bag or disposable tray where the waste is collected and replace it with a new one. For models that don’t come with trays filled with crystal litter, you also need to make sure you refill the litter box every now and then. Which automatic litter box is best? The best litter box is the one that will suit your specific needs. If you have multiple cats inside the home, then you might want a larger self-cleaning litter box. 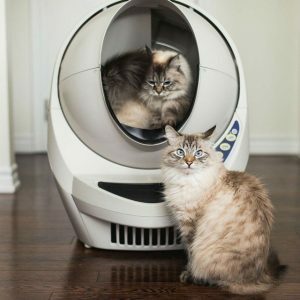 This device should also be able to perform cleaning cycles more often to ensure that each of your cats benefits from a clean litter every time. 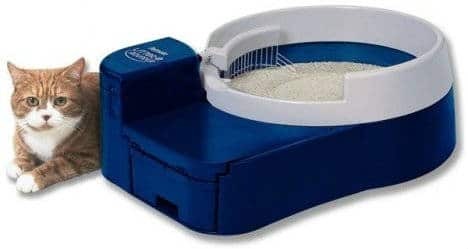 If you want to save money on a model, then the most affordable automatic litter box with a simple design might be best. If you’re willing to spend more money and are also more sensitive to odors, then an enclosed model with carbon filters might be a better choice. How much does a self-cleaning litter box cost? Depending on the model, an automatic litter box can cost anywhere from 30 bucks to several hundred dollars. A cheap automatic litter box will do quite a good job of cleaning and odor management, but you shouldn’t expect all the bells and whistles of a high-end device. Some advanced models come with delay timers, programmable features such as night light, night mode for 8 hours of peaceful sleep, as well as more efficient motion sensors, carbon filters, etc. You can expect to use 50 percent or less litter compared to conventional models so you will probably amortize the costs in the long term. Who invented the self-cleaning litter box? The first self-cleaning litter box, the Speed-Kleen Kitty Latrine, was invented by Mark Zamoyski, a former analyst who left the job of chief financial officer at Biomation Corp to pursue an entrepreneurial career. He was awarded a US patent in December 1993, for a device that would revolutionize cat litter scooping. His contraption was made only of materials that can commonly be found in any hardware store. The device used a bicycle chain, sprockets, and a crank that moved a blade which collected cat waste and dumped it into a plastic bag. If you hate scooping litter and would like to avoid having to perform this annoying task, then you would definitely enjoy getting an automatic cat litter box for sale. Doing so won’t just save you from getting in contact with waste, but it would also provide you with more time to spend with your cats, as well as a cleaner and more comfortable environment for your pets. While cats can sometimes be fussier than dogs, they generally don’t require much to be happy. Just feed them their favorite food, give them an awesome cat bed and some toys, and that should be enough, provided that they also have a clean litter to use every time. Cats tend to get pretentious when it comes to using the litter, and some would not get near one if they sense even a faint odor. This is why an automatic litter box is a perfect addition, as it would ensure that your cat has a comfortable and clean environment where it can ‘go’ anytime it needs to. With a self-cleaning litter box, you don’t just get rid of an unpleasantly dirty job, but also save time. You won’t have to scoop the litter several times per day, and this means that you’ll have more time to spend with your beloved kitty, play more, and provide your feline pet with all the affection it needs to stay happy. Cat waste isn’t just disgusting, but it can also pose health hazards since it can harbor bacteria or parasites such as worms. While you should do well to ensure that your cat is properly treated for intestinal parasites, the fact that you won’t have to touch potentially hazardous waste is also a huge benefit of automatic litters. Self-cleaning cat litter boxes are wondrous contraptions. So wondrous in fact that few people seem to have intimate knowledge of their workings and are willing to share it online. But no trouble, you don’t need an engineering degree in order to buy an automatic kitty litter box. You only need to be mindful of a few things in order to ensure that your precious buck doesn’t get wasted on a sub-par product. First thing to consider is the style of litter box you want, and by style we mean the way it operates. There are two main construction systems used. One of them sits flat on the ground and uses a moving metal grate to separate the solids from the litter, and the other one is basically a rotative barrel that spins and allows the solids to pass through a grate placed along its interior surface. Needless to say, both of them work well. That’s why they were adopted, after all. To get into a self-cleaning box comparison, the barrel system makes for an overall bigger item, that is also less stable and by Murphy’s law, easier to bump into. The crate style actually has more moving parts than the spinner, which makes it inherently less reliable, and the metal grate it uses has to push through all that litter, which requires some torque, hence a more powerful motor that puts in more effort, getting subjected to a deal more wear and tear. That motor is the second thing to be mindful of. Always check with user reviews before buying an electrically operated device, since present day manufacturers have a habit of engineering their products to break a couple of years after the — usually 1 year — warranty wears off. Not all brands follow the principle of designed obsolescence, however, and some want to establish a name for themselves as reliable and trustworthy. So wait a little while before a new brand hits the market and see what the early adopters have to say about it some years on. The stuff used for the actual litter can’t really break but it can provide some additional benefits to make your life easier and your house less smelly. Some manufacturers employ a special gel mixture that absorbs liquids, meaning the cat’s urine, while others are more traditional and simply use that sand-like composition that fills a regular kitty-litter box. The first one is obviously more expensive while the traditional solution doesn’t really come with any additional benefits besides a lower price compared to the alternative. 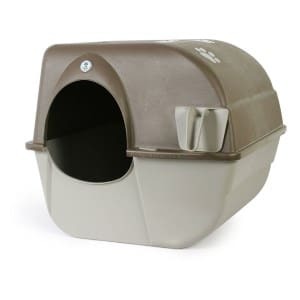 You wouldn’t expect to care about overall material quality and durability for an electric litter box, since this is not exactly the type of item you go camping with, but a nice housing, made out of plastic that looks durable, is a good indication of the manufacturing standard the item was built under. In other words, if it looks nice and sturdy, it probably is. Self-cleaning litter boxes seem to be wondrous pieces of technology which have baffled most of humanity to such an extent that it’s precious little to be found about them researching online. But worry not, dear reader, we’ve dug through enough information to get to some actual useful pieces of information about these devices, so that when you get on shopping for a new self-cleaning box for the mini-tiger in your charge, you won’t be entirely ignorant. Before that however, there’s always the “whys” to consider. So why would you buy an electrically powered kitty litter box instead of a regular one? 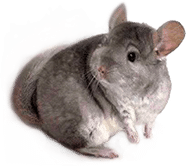 For the convenience, the answer quickly arises, since these things will make the unpleasant chore of emptying the litter box a weekly one instead of a daily one. There’s also the highly unpleasant smell of cat waste that an electric litter box will make you do without by storing all the droppings in a sealed container. So what’s there to know about them? First things first, these don’t all operate the same. Some of them are rotating barrels that spin around after the cat is done and let the solids pass through a grate into a container to be emptied at a later date. One of the most popular models uses a metal grate to push through the litter and forces the solids into a plastic container placed at the front of the machine. The litter consists of liquid absorbing gel to neutralize the smell of urine. This is significantly less expensive than the other system and seems to be the most popular one, judging by the selling figures available from retail sites. Virtually all self-cleaning litter boxes use electricity to operate, and work with 120V outlets, or 220V if you happen to travel abroad. They are convenient in this regard and there’s no adapter required, but judging by the reviews to be found online, there are a lot of things that can go wrong with them. The most common problem you might encounter will have to do with the sensors these use to determine that the cat made its visit. This is a pressure switch, which lighter animals might not activate for the machine to start its cycle. Conversely, if the cat just happens to tread over the litter box when simply walking to a location, it might activate it, with all the assorted noise. This is mainly a problem with the “box” system, as the rotating barrel will require the pet to enter it for use. This will allow for its own particular set of problems, as it offers an enclosed space, which a larger cat might find constrictive. Always consider that ideally, a litter box must be one and a half as long and of equal width to the animal it is expected to service. Since we’ve mentioned noise, you should know that these devices will usually be accompanied by an electric buzz, that might start becoming bothersome if placed in high traffic areas of the house.